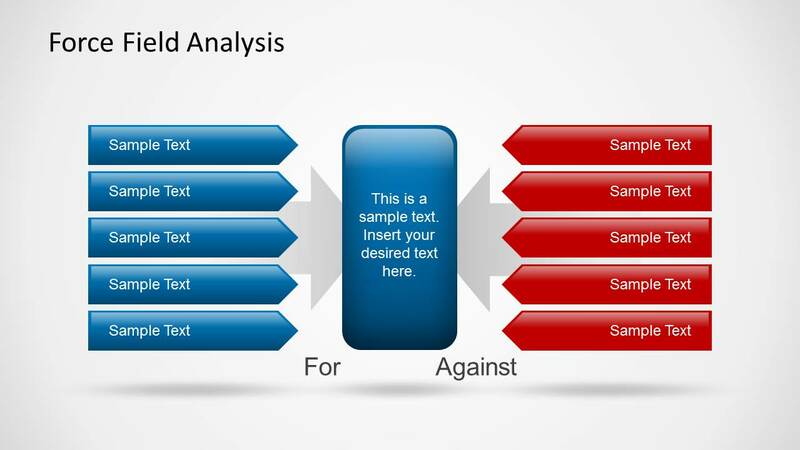 Force Field Analysis PowerPoint Template is ideal for presentations regarding the Change Management or Organizational Development. 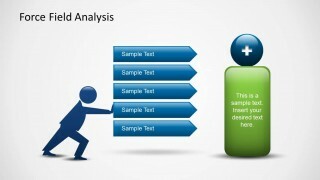 Force Field Analysis is a decision-making technique that helps analyze the factors that can contribute or limit a change. 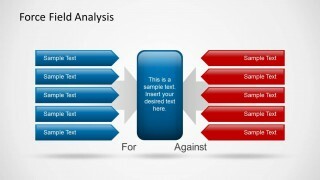 The tool can help the user communicate the reasoning behind any decision. 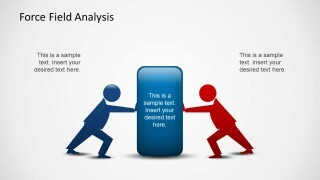 Today, it is used by business entities as a guide towards wise decision-making. 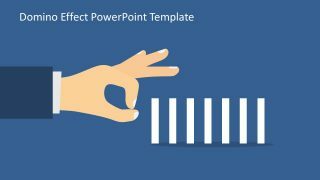 The PowerPoint template gives way to a comprehensive report through gradient-filled text boxes and clipart. Being decisive is a trait all businessmen should have. To be exact, they are required to make decisions under time constraints and extreme pressure. Having a background of the Force Field Analysis can help elevate this skill. It is a guide to better understanding of the psychological elements that can affect decisions. 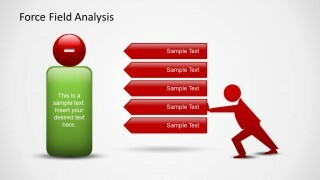 The tool can also help the user weigh options and possible consequences. Pros and cons can be briefly presented in the first slide of the report. The text box in the middle can serve as a space for the problem at hand. Details regarding the positive outcomes or influences for the decision can be entered in the second slide. The negative outcomes or the cons can be presented in the third slide. 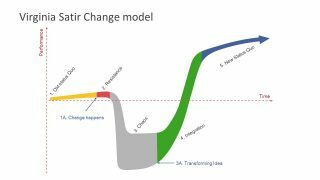 In the fourth slide, the user can show who supports the change and who goes against it. Other factors such as time and resources can also be included. 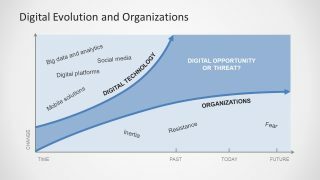 Risks can be calculated in the same slide. The last slide can serve as a finale where the final decision is given. 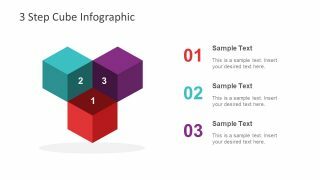 The PowerPoint design is ideal for business concepts. However, it can be used to discuss personal changes or undertakings. Alternatively, the user can also try look for ways to strengthen the change and weaken the forces against it. The colors and fonts are fully customizable. The text placeholders can be edited as well. 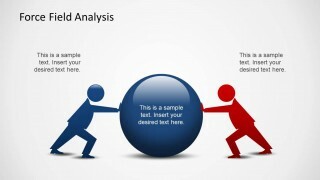 Amaze your audience by revealing decisiveness techniques using Force Field Analysis PowerPoint Technique.